Could we find wild, healthy food along the paths as we hike? 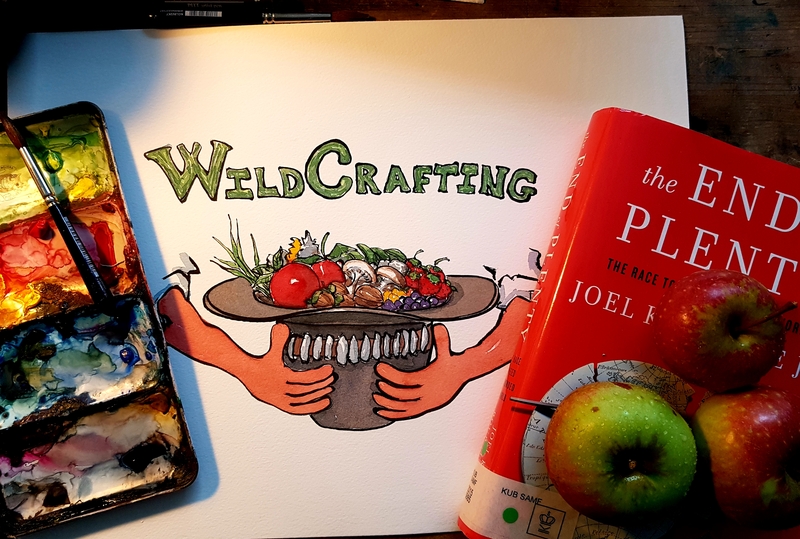 Wildcrafting is the ancient art of gathering wild herbs, fruits and other edible plants. And we humans used to do it along the trails we walked as nomads. Today most hikers bring all their foods along with them. Many relying on instant cook meals, pre-made somewhere else by an industrial food producer, before it was dumped into a sealed plastic bag. But there is an alternative to this, one that is lighter on the planet and make the hike even better: Eating local. One of the things Hiking.org is promoting is what might be called “relational hiking” – A bit like what is called relational eating. It is all about relating too and connecting in more ways to the communities and the landscapes that the hiking-trails pass through, relating by more than just by walking, saying an occasional “hello” when you walk by local people, before you head out in the woods to pitch your tent. There is a lot of good reason to connect to the locals and the local foods while hiking: It both gives a deeper understanding and knowledge of the landscapes, not only how it looks, but also how it taste and how the locals relate to it. And it is one of the best ways to meet locals. Asking them about and learning about and sharing local food with them, something that will also give a great opportunities to support local communities and help them thrive as it gives locals a chance to become wildcrafting guides, earning a bit by teaching hikers about the history, traditions and foods of their place. The other part of this is when hiking in your own neighborhood, hiking at home, here you will be one of the locals and by wildcrafting while hiking you will get to know the landscapes and the place you live even better, just by gathering and eating ( in sustainable ways) wild food along the path. Some communities have even started to make “edible paths” where they more actively support the knowledge and use of wild plants and sometimes plant trees and local wild species in sustainable ways, that can be shared by all and these trails are often in better shape and more used because what locals know about and like, they will be more aware and eager of taking care of. I’m heading out now to pick a hat full of apples, because here in my hood there is an old saying: That you shouldn’t take more of the fruits and plants, than you can have in your hat… and right now there are plenty of apples out there.